Sorry if I've been MIA because I spent last week down South in Cebu. 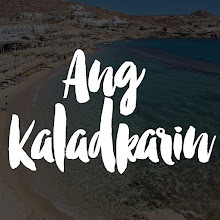 =) The country experienced 3 storms in a span of 2 weeks and we our scheduled vacay was right smack in the middle of the latter part of the hooplah. We experienced safe weather, it was not sunny or blue. Heck, I'd rather have that than rain and uncertainty! 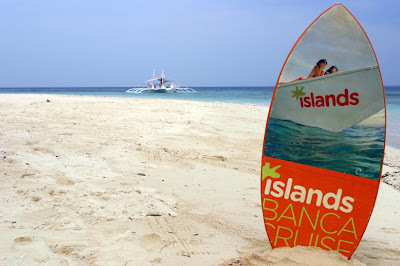 We hit the city, the Mactan Islands and Bantayan Island. 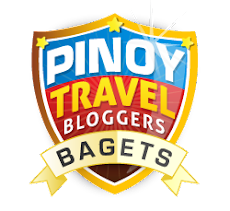 It was too short, there is definitely so much more to Cebu. was taken before I was politely informed. I'm half chicken, one third dare devil with a liter of fear of heights. 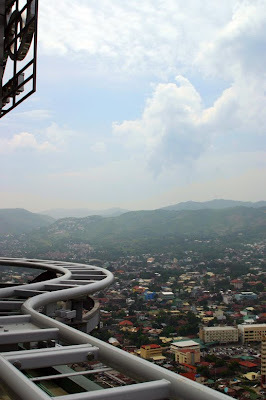 I tried the Sky Walk and Edge Coaster at Crowne Regency. Highly recommended for (1) people who haven't done much with heights and (2) people who want to conquer their fear of heights.